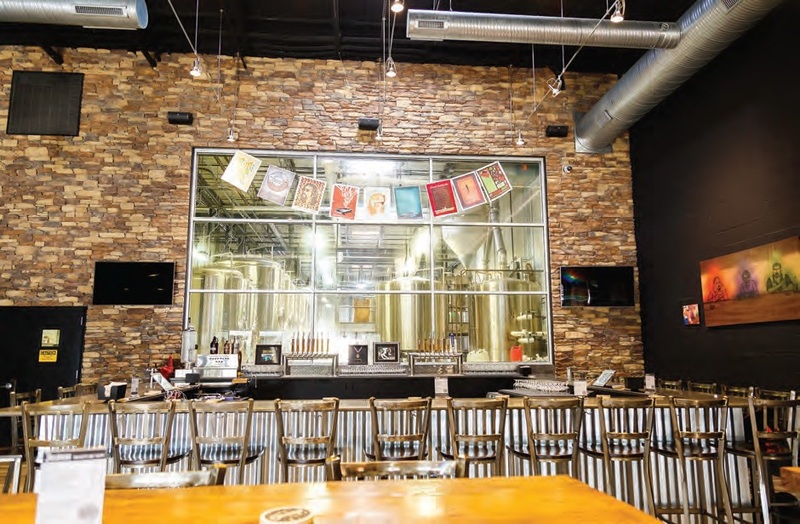 In Howard County, epicureans will find farm-to-table restaurants, fun breweries and distilleries. Outdoor enthusiasts can hike for miles at area parks and take the kids to a nature center. Arts and culture lovers will find galleries in downtown Ellicott City, along with live theater and some of the region’s most acclaimed music venues. One of the first stops should be the 18th century historic mill town of Ellicott City. Although afflicted by two floods within the last three years, many of the charming boutiques and cafes have reopened. Feast on Greek dishes at Georgia Grace Café and Syrian fare at Syriana Café and Gallery—where you can also purchase art and handicrafts to help refugees. Jaxon Edwin, a new men’s boutique specializing in minimalist watches and locally made accessories has a nitro brew café and barbershop upstairs. Visit the Baltimore & Ohio Ellicott City Station Museum, and just beyond downtown, nature lovers will enjoy the expansive green spaces at Centennial Park, Patapsco Valley State Park and the Howard County Conservancy in nearby Woodstock. The James Rouse-planned community of Columbia boasts its own attractions, including The Mall in Columbia and a lakefront dotted with restaurants. 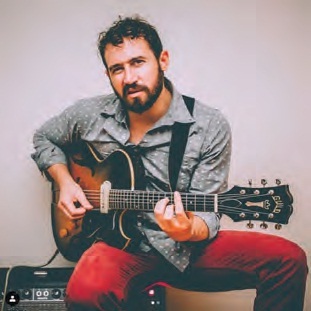 The town has recently expanded its entertainment options with the Soundry, a lakefront music venue, and 18th and 21st, a speakeasy hosting live music nightly (adjacent to Cured, a restaurant with a locally sourced menu). Merriweather Post Pavilion, a long revered venue that hosts top-tier acts, has undergone a facelift in recent years with new seats, concession stands and box office. County officials are developing the area surrounding Merriweather into an arts and culture park with the Chrysalis stage, to host performances and festivals. Beyond downtown, families will enjoy a trip to the Robinson Nature Center, where exhibits highlight the Chesapeake Bay, forests and other natural wonders. 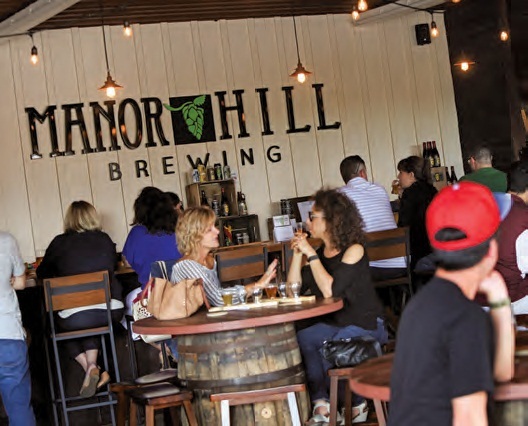 Beer aficionados can savor the county’s burgeoning brewery scene, which led to the formation of the HowardOnTap Craft Brew Trail, which includes stops at Black Flag Brewing Company, Manor Hill Brewing, Jailbreak Brewing Company and more. 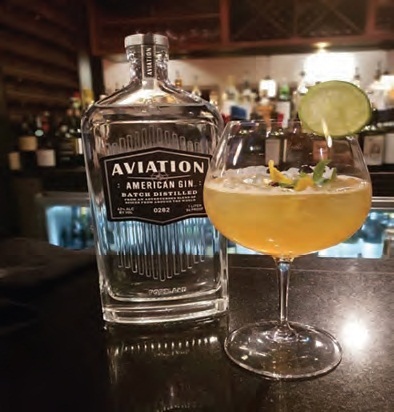 Fans of the hard stuff will enjoy a trip to Lost Ark Distilling Co., which will add a cocktail lounge this summer with a full bar where staff can showcase its signature spirits. lostarkdistilling.com, Columbia l The spirits company produces rum and whiskey using local ingredients. blackflagbrewingco.com, Columbia l Food trucks, trivia nights, board games and 10 beers on tap make for an eventful outing. ellicottmillsbrewing.com, Ellicott City l A fixture for more than 20 years, the brewery and restaurant offers an impressive selection of beer and menu. hysteriabrewing.com, Columbia l The inviting taproom features bookshelves, games and nearly a dozen beers on tap. jailbreakbrewing.com, Laurel l The five-year-old brewery expanded last year with a kitchen that serves sandwiches, tacos and burgers. aidabistro.com, Columbia l For more than 15 years, the family-run Italian restaurant has offered a menu of locally sourced Italian delicacies and an extensive wine list, including wines on tap. theturnhouse.com, Columbia l Helmed by an alum of such eateries as Eleven Madison Park, the Turn House churns out modern, seasonal fare. Great Sage greatsage.com, Clarksville l The creative cuisine at this vegan restaurant draws meat- and plant-eaters alike. Grille 620 grille620.com, Ellicott City l The steak and seafood restaurant at Turf Valley Towne Square excels in dishes like risotto with lobster. Sibling restaurants include recently opened Mad Chef Kitchen & Bar, also at Turf Valley, and River Hill Grill in Clarksville. elkridgefurnaceinn.com, Elkridge l The restaurant, in an 18th-century mansion, sources produce from its own gardens and nearby farms.It also hosts afternoon teas, wine tastings and special dinners. Ananda anandarestaurant.net, Fulton l Among Howard County’s many options for Indian food lovers, Ananda stands out for its striking setting and expansive covered patio. ironbridgewines.com, Columbia l The Columbia mainstay packs in the crowds with its extensive wine list and wine-themed events. The owners also own Caribbean joint Mutiny Pirate Bar & Island Grille in Elkridge and Cured (see below). Cured cured1821.com, Columbia l The farm-to-table restaurant from the Iron Bridge team is adjacent to 18th and 21st, a swanky cocktail bar that features daily live music and unique cocktails. Georgia Grace Café georgiagracecafe.com, Ellicott City l After recovering from the 2018 flood, the café is once again serving Greek specialties like spanakopita and falafel in downtown Ellicott City. Tersiguel’s tersiguels.com, Ellicott City l This family-owned restaurant located on Main Street, offers upscale French fare in a beautiful historic house. Turf Valley Resort turfvalley.com, Ellicott City l With a spa and golf course, Turf Valley is a popular spot for weddings and meetings. Columbia Inn at Peralynna peralynnainn.com, Columbia l The luxurious inn has a range of options, including suites with jacuzzis and balconies. Baltimore & Ohio Ellicott City Station Museum howardcountymd.gov/baltimore-ohio-station-at-ellicott-city, Ellicott City l The county took over the operations of this railroad museum in 2017, the oldest passenger train station still intact. Robinson Nature Center howardcountymd.gov/robinson, Columbia l With miles of park trails, educational programs, exhibits and a planetarium, the nature center is a great place to take the kids. merriweathermusic.com, Columbia l One of the best outdoor concert venues in the nation, the 52-year-old venue hosts top artists from spring into fall. tobysdinnertheatre.com, Columbia l The long-running venue features top-notch performances and an extensive pre-theater buffet selection. ◄ The Soundry thesoundry.com/Columbia l The vision of this music venue is simple—put the music first, and everything else will take care of itself. Jaxon Edwin jaxonedwin.com, Ellicott City l Downtown Ellicott City’s newest business serves nitro cold brew on the second floor and a men’s boutique and gift shop on the first. Syriana Café & Gallery syrianacafe.com, Ellicott City l The unique handicrafts store sells Syrian textiles, rugs and other home-décor items. Historic Savage Mill savagemill.com, Savage l Located in a former cotton mill, the historic property houses a number of arts, antiques and gift shops.